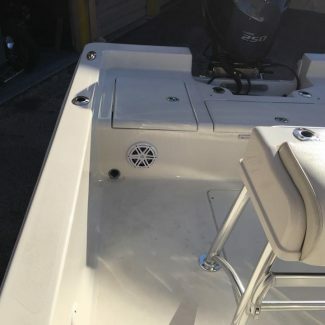 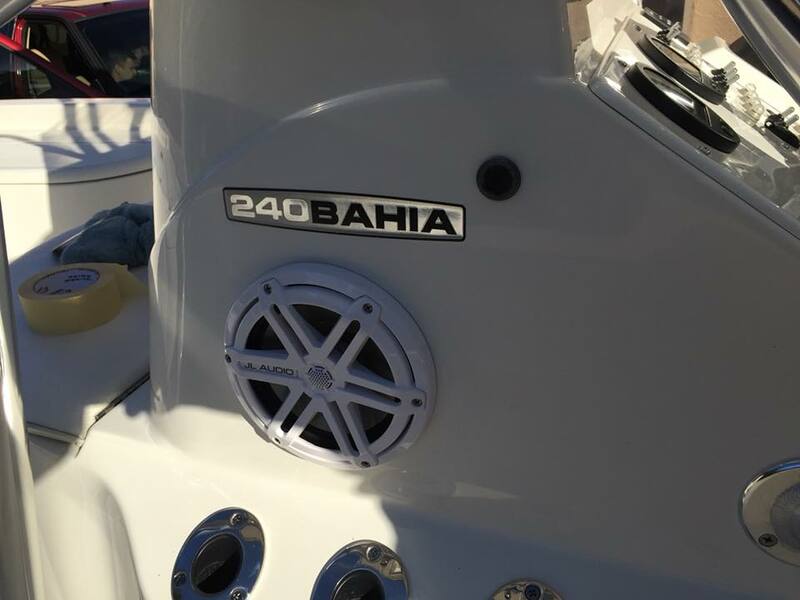 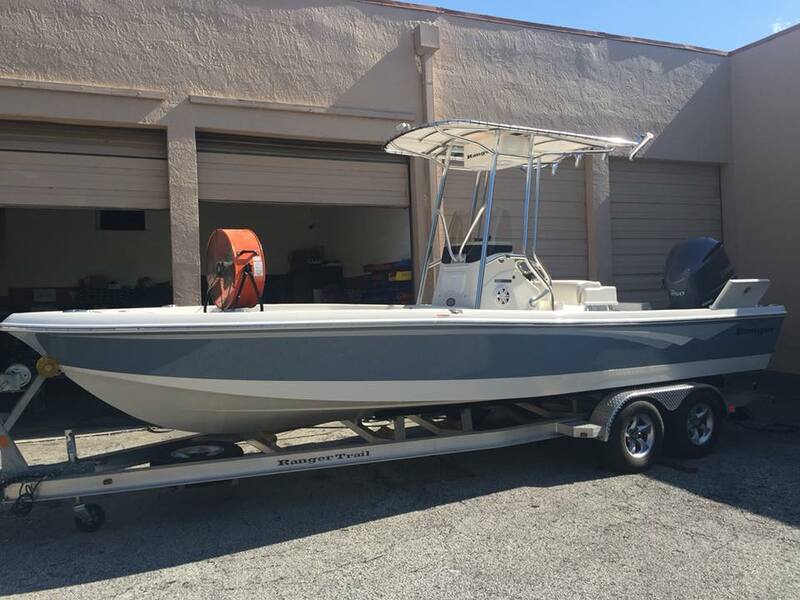 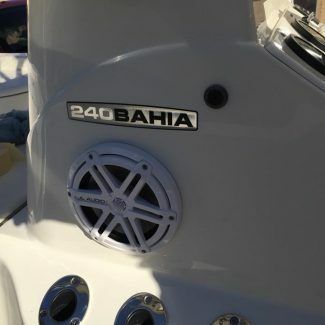 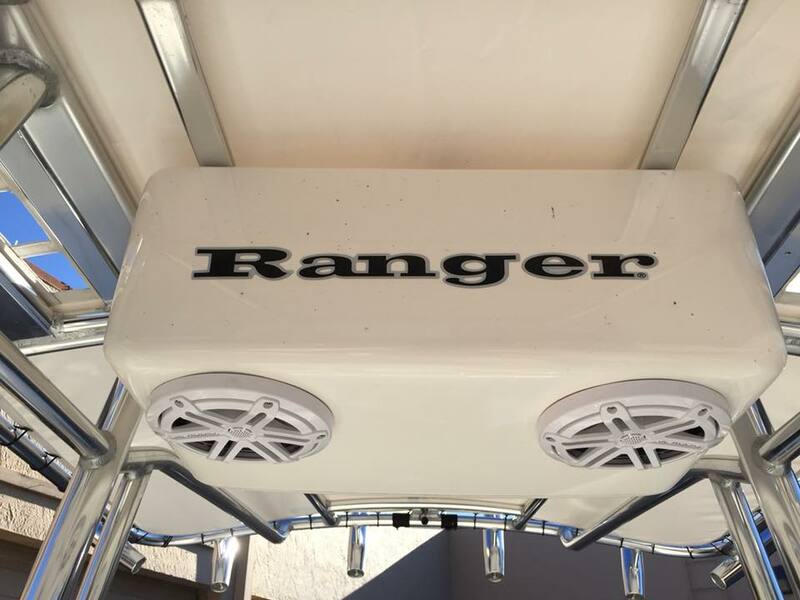 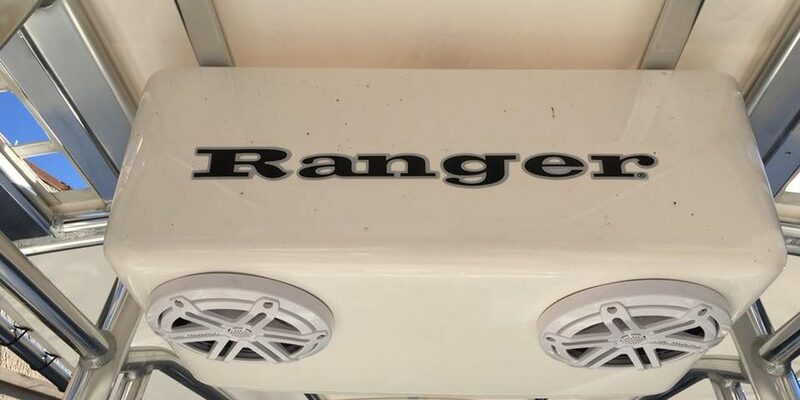 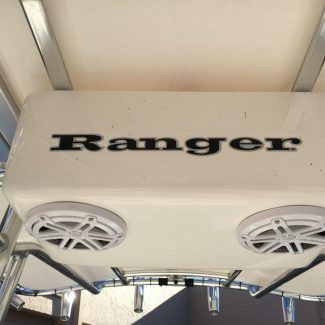 Ranger Bahai 24' Bay Boat with multiple JL Audio marine speakers and bluetooth controller. 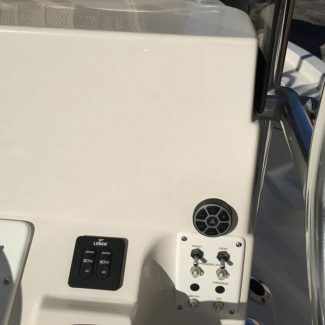 We outfitted this boat with a bunch of JL Audio marine speakers. 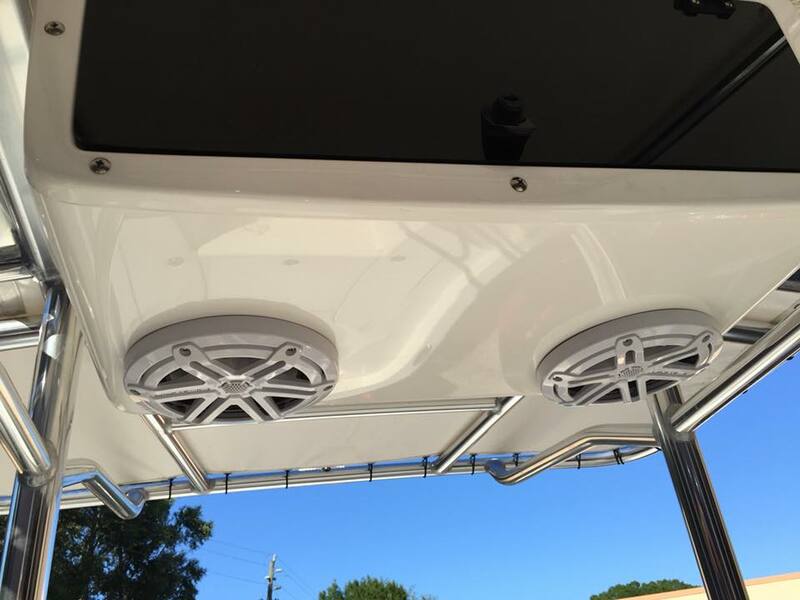 We put speakers in the center console, overhead compartment, and the rear deck. 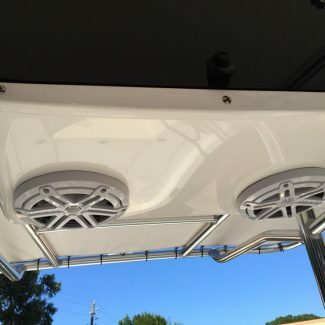 Anywhere you are on this boat you will be able to hear awesome quality music. 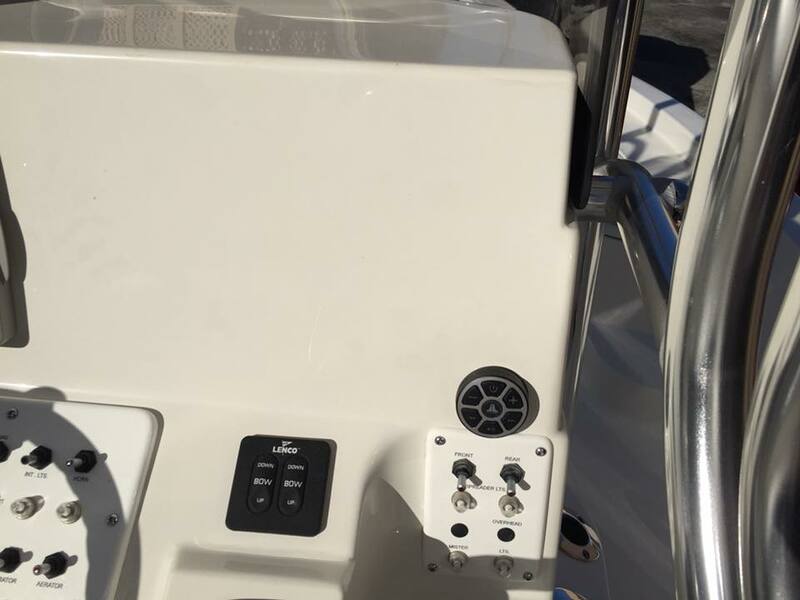 To get the music to all the speakers we installed a marine bluetooth receiver/controller from JL Audio. 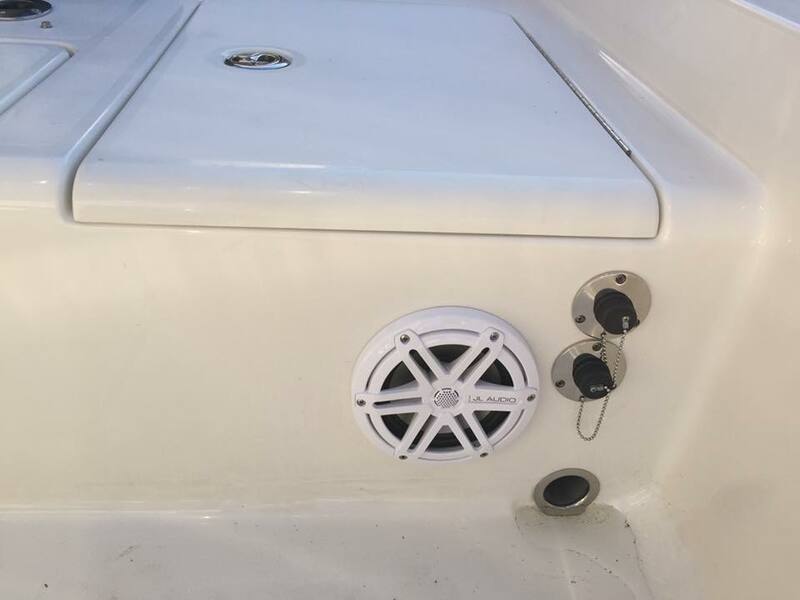 This little unit is great at hooking up to your phone so you can blast your tunes from all your playlists that you have on your phone. 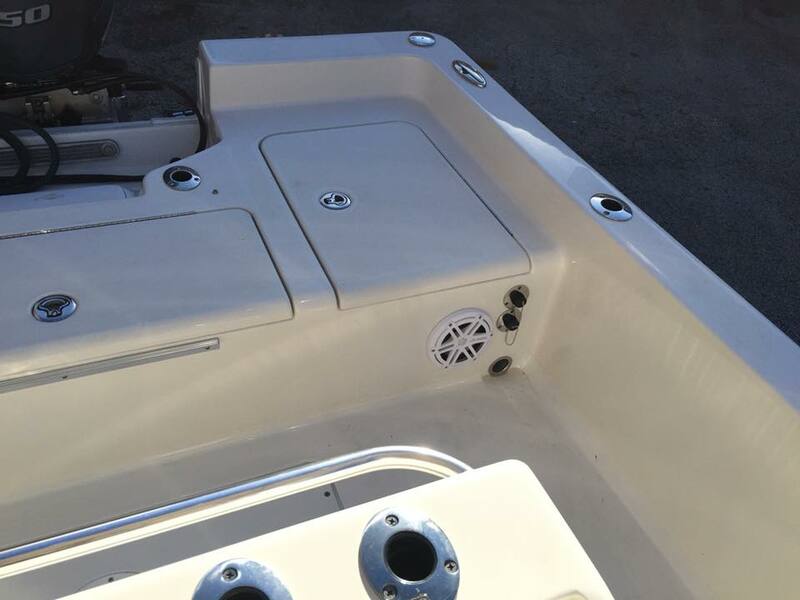 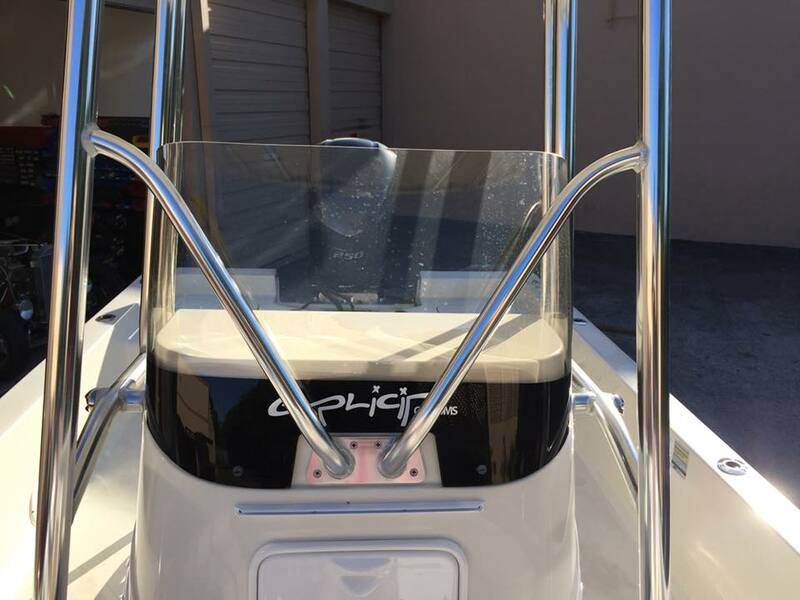 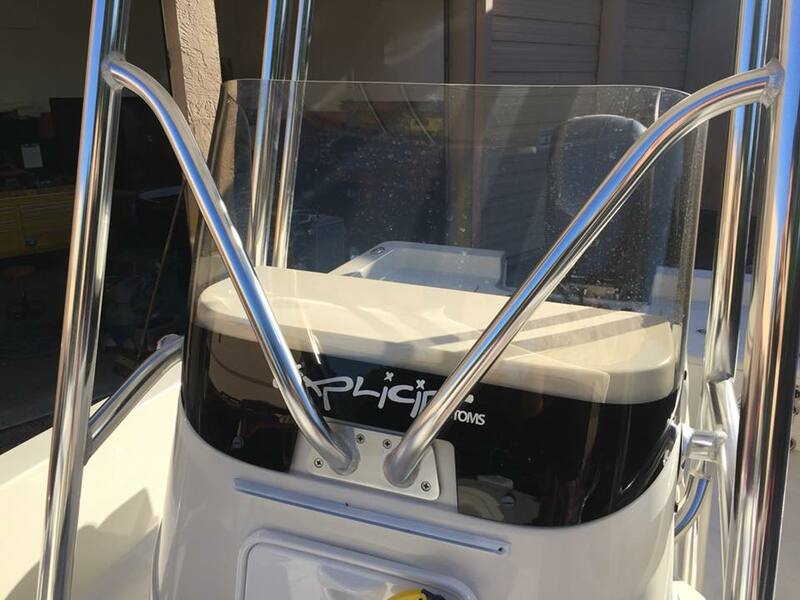 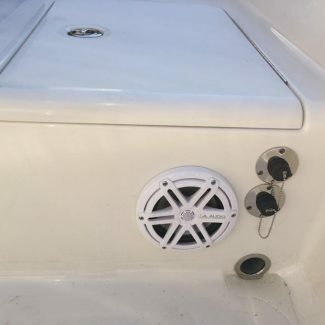 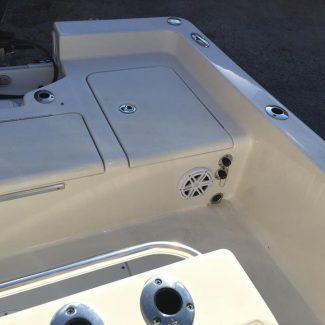 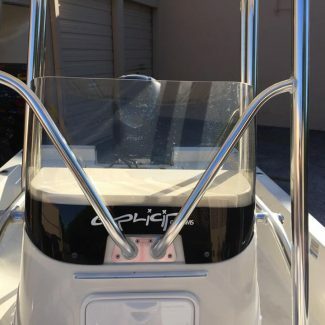 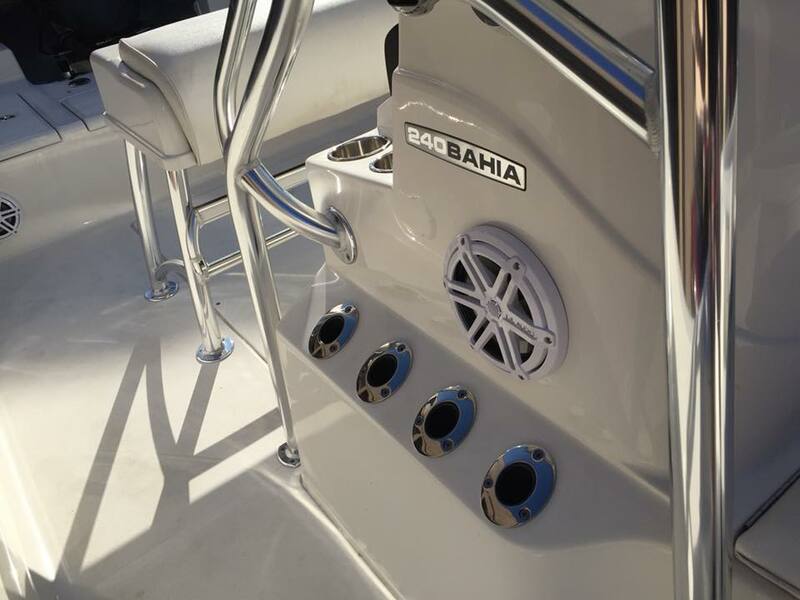 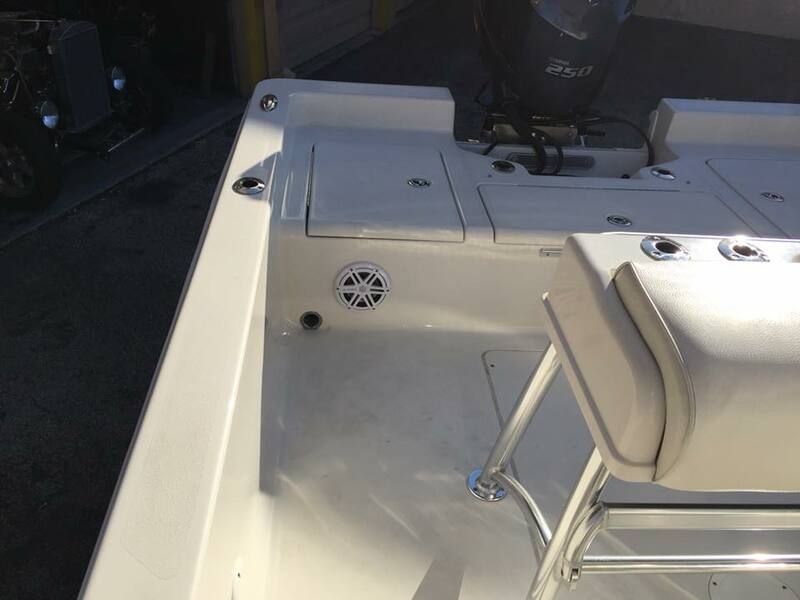 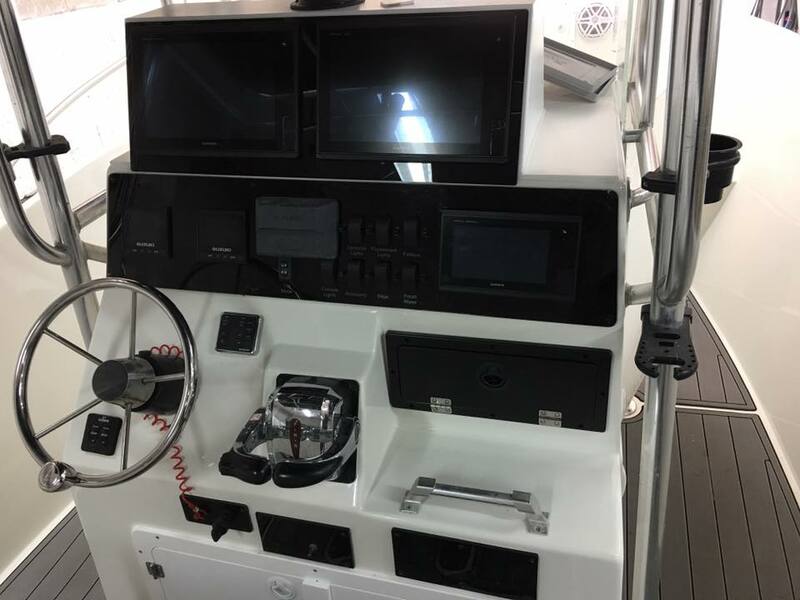 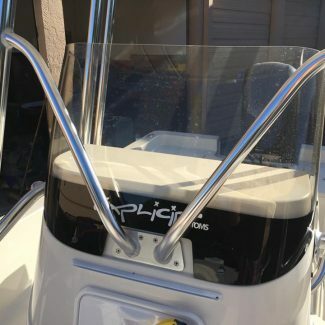 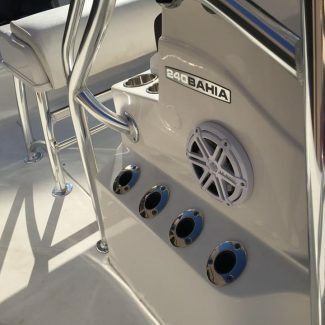 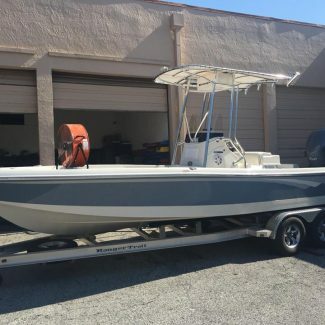 If you are looking to hook your boat up with a new stereo system or need some custom fabrication to fit your fishing electronics give us a call at 321-722-0228 or email us here so we can discuss your marine or boat project.